1960 David Wilkerson traveled to New York City after reading about the trial of seven young gang members charged with murder. He was never able to speak with the young men but after seeing the rampant drug addiction in that city the ministry which would later be called Teen Challenge was born. “Certainly we cannot claim a magical cure for addiction…all we can say is that we have found a power that captures a person more strongly than narcotics but He captures only to liberate.”. In 2018 we again see widespread drug addiction on a much larger scale and the carnage it brings. Broken lives, broken families, broken people. It is not confined to big cities like New York, but is spreading to smaller population centers. Cities like Muncie Indiana, Huntington West Virginia, (where the overdose rate is 10 times the national average), Westminster Md, Sterling CO, Newcomb TN, and closer to where I live, Nixa MO a city of less than 20,000 people. Here five young adults and teenagers were charged with drug related crimes that led to murder. In the county where I serve as a chaplain for the local Sheriff’s office the majority of those I speak with in the jail are there for drug related crimes. The destruction and tragedy caused by these drugs, meth, crystal meth, and now heroin cut with fentanyl is almost beyond belief. The result is death, incarceration, addiction and an increase in crime. I know very few people myself included who have not had a family member or a friend impacted by this epidemic. This appears to be an impossible problem to solve. The sheer numbers far out distance the manpower available to law enforcement to stop the drug trade. Cities simply do not have the money for resources to treat those who are willing to get help. They are bearing the cost of thousands of uninsured overdose victims and other drug related illnesses, In Tennessee alone over 2 billion was spent on drug related issues in 2017. Jails and other incarceration faculties are strained to the limit. Overcrowding allows many who should be in jail to be released back onto the streets, where they continue the activities that landed them in jail. The county jail where I serve designed to house 90 people, currently houses over 130. There is no magic cure. In the early days of Teen Challenge many of the tools and resources used in drug treatment were not available, or did not yet exist. Yet Teen Challenge experienced a high rate in addiction recovery, and continues to do so to this day, a 67% success rate compared to 1-15% with other treatment regimens. I think the cure is found in this statement from Teen Challenge. If we look at man designed means alone as a solution it is impossible. But I think Teen Challenge has it right. More than a medical problem, it is a life problem. And at its core a spiritual problem. The spiritual problem is what Jesus came to cure and correct. Programs that focus on mental and psychological issues are good steps towards understanding why we become addicted. But these alone as evidenced by statistics are likely to fail. We can never overlook the impact of a heart made right with God. This is where the healing that leads to freedom takes place. My prayer for those I know, for those you know, who have been captured by this curse of our day, is they would come to know that power, the freedom and salvation that comes through and is available through Jesus Christ the Savior and Deliverer. It is for freedom we have been set free. 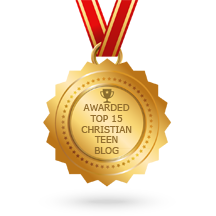 This entry was posted in A CLICK A BLESSING TODAY, Christian Teens Blog JF, CHRISTIAN TEENS BLOGS, Christian Teens Blogs - He is my Peace, Christian Teens Blogs - He is my Peace, Light and Refuge, TAPESTRY TREASURES and tagged Addiction, freedom, Heroin. Bookmark the permalink.